It seems self-evident that delivering weather and climate information to farmers would in some way help them plan and execute their agricultural activities in more effective manners. What information should be delivered? 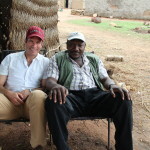 What information do farmers need? Which farmers need what information? Which farmers can use the information? How might we deliver the information? What science should be used to build the information given to farmers? What if the science isn’t particularly good? Any effort to deliver weather and climate information to farmers has to address all of these questions, and many others, to deliver a useful product. As it turns out, most of these questions have not yet been answered in the Global South, raising barriers to the effective delivery of weather and climate information to farmers. HURDL is working on changing that. 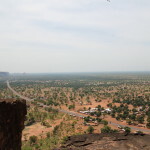 Since 2011, Ed Carr and HURDL staff have been directing an assessment of a climate services for development success story, the Mali Agrometeorological Advisory Program. Started in the early 1980s during a period of severe drought and food shortage, the advisory program was an emergency response, an effort to provide something to farmers that might result in improved yields and relief from food insecurity. The initial pilot of this program was closely monitored, and when it produced positive results, it was rapidly scaled up across the country. However, the impact and function of the program have not been assessed in more than 25 years. In an effort to assess the efficacy of the program, and better understand how it works on the ground, Carr worked with colleagues across several institutions to design and implement an initial assessment of the program. 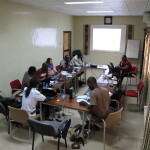 Colleagues at IRI focused on assessing the advisories issued by the Malian Meteorological Service, including the science behind the advisories, to assess the quality of the advisories and identify gaps that might be filled to improve these advisories. 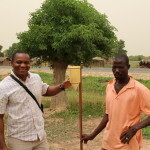 Carr worked with colleagues at ICRISAT, IER, and Stratus Consulting to design and implement a field assessment to assess and understand project use and impact at the farmer level. 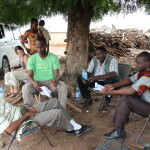 This assessment visited 36 villages across Southern Mali, conducting 144 focus groups and interviews with 720 farmers, in an effort to understand if and how farmers were using the advisories. Carr, supported by staff at Stratus Consulting and HURDL students Tshi Tshi Kalala and Kwame Owusu-Daaku, analyzed this data, and then edited the preliminary report on the assessment. 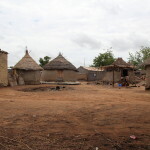 From May to July of 2014, a team of HURDL researchers worked with IER and ICRISAT/CCAFS to conduct ethnographic fieldwork in four representative villages in Southern Mali to explain the patterns of use (and non-use) revealed in the preliminary report. The fieldwork yielded more than 200 interviews and maps of fields, as well as fieldnotes on observations from life in these villages as residents made planting decisions. HURDL is still analyzing this data, but expects to put out a final report by the end of April, 2015.